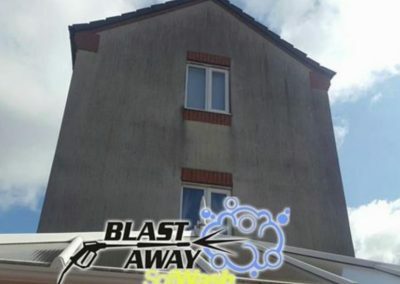 If the render on your home is looking a little tired and dirty, Blast Away Industrial Cleaning Ltd are highly experienced in all aspect of render cleaning. 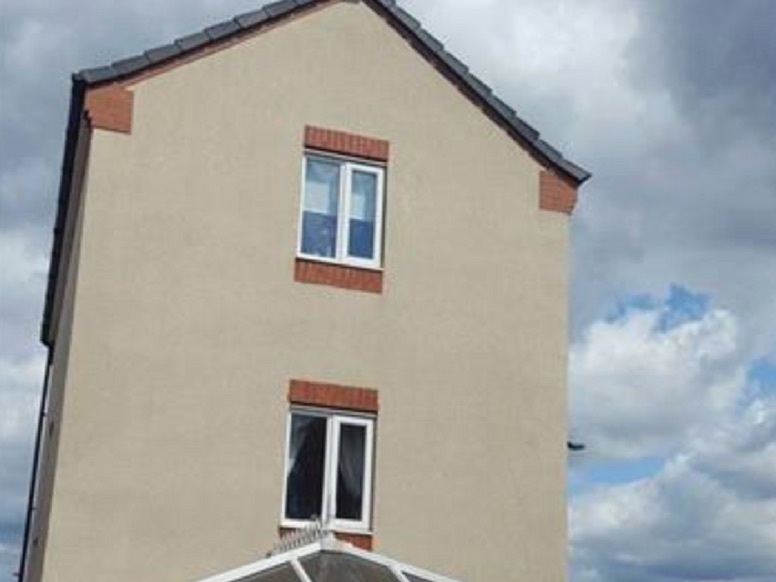 If you’re home has a render surface on it can easily gather dirt, grime and discolour from it’s original condition. 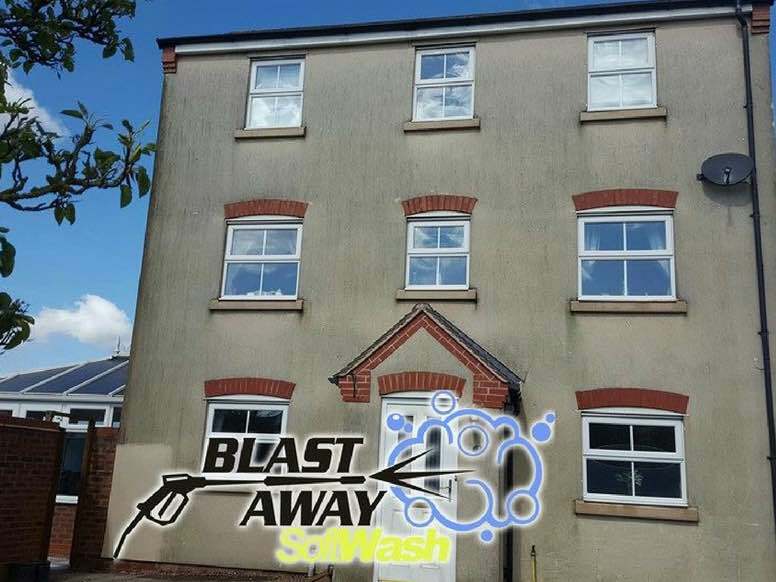 Our render cleaning uses a soft wash technology which is a combination of specially selected chemicals and a low pressure washing system to ensure only the dirt comes off. 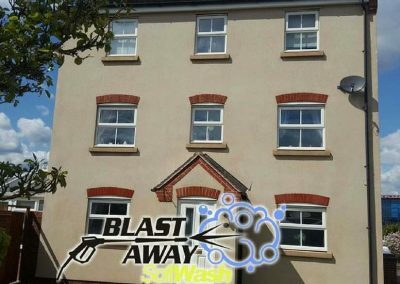 With render cleaning it has to be completed using the correct methods and chemicals otherwise it can damage your homes outer surface. 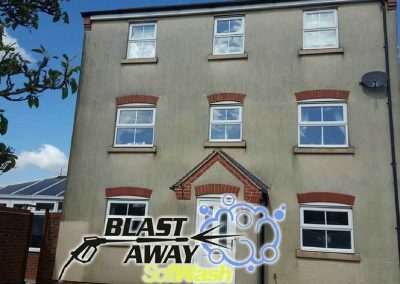 We have over 15 years experience in render cleaning and with our bespoke service we can clean render, K Rend, painted and plc surfaces and restore it to its new condition. 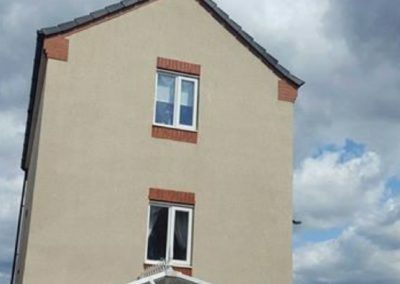 Our company is fully insured and we cover all areas of Greater Manchester and the Northwest for render cleaning and all of the UK for larger contracts. Unlike other cleaning companies all our vans are fitted with mounted hot water pressure systems and water tanks meaning we use our own generator and water. 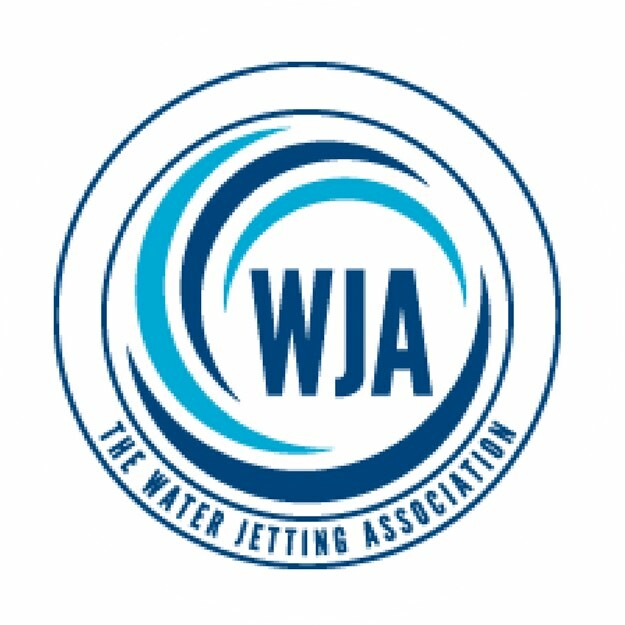 If you are looking for a reliable render cleaning company then get in touch with us today to arrange a free no obligation quotation. What is Render Soft Washing? 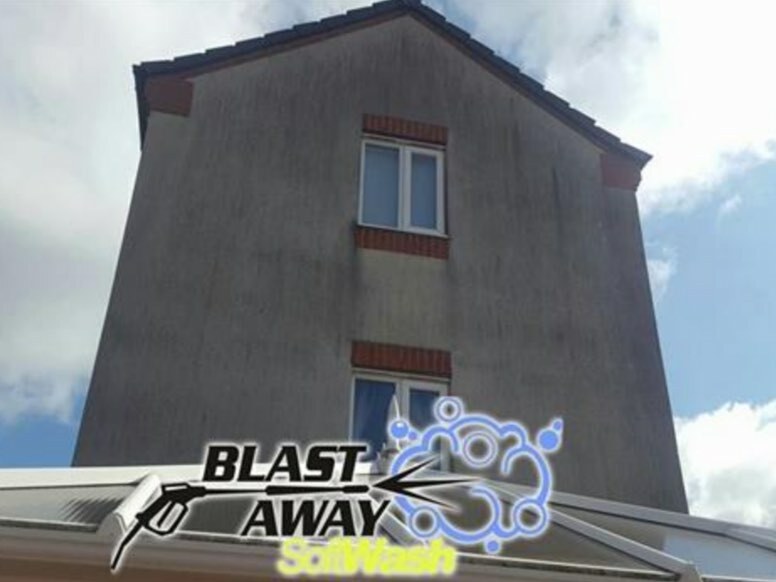 Soft Washing is a low pressure cleaning process which uses a cleaning solutions specially blended for each individual project. The cleaning solution is applied at low pressure to the most delicate surfaces which you wouldn’t use a pressure washer on at high output. For example painted surfaces, render or K Rend, PVC plastic cladding, fascias and soffits. All of these we can soft wash. 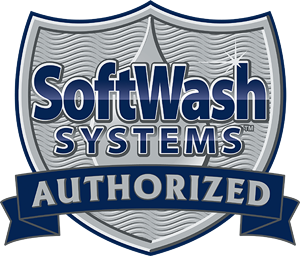 The soft wash process aims not only to clean your surfaces but also to remove contaminants such as algae, molds, mildews and bacteria that are actually decomposing the surfaces they are growing on. It is the power of chemistry that makes the soft wash process so effective. Each individual surface with distinct contaminants requires a tailored soft washing solution for the best results. Our cleaning solution is mixed on the spot for optimal results for your cleaning job. 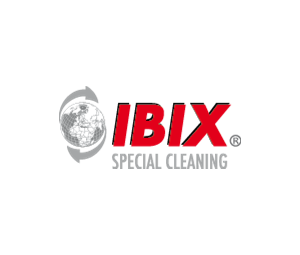 In this way we customize our approach to maximize your cleaning results whilst also achieving utmost cost effectiveness. Some surfaces will require some additional pressure to get the maximum cleaning effect. Should this be the case, we can also apply the latest in pressure washing techniques to complete the job. For example low pressure steam and the use of our carbon fibre reach and wash poles. Lee Barrow – Expert in Building Cleaning & Restoration. 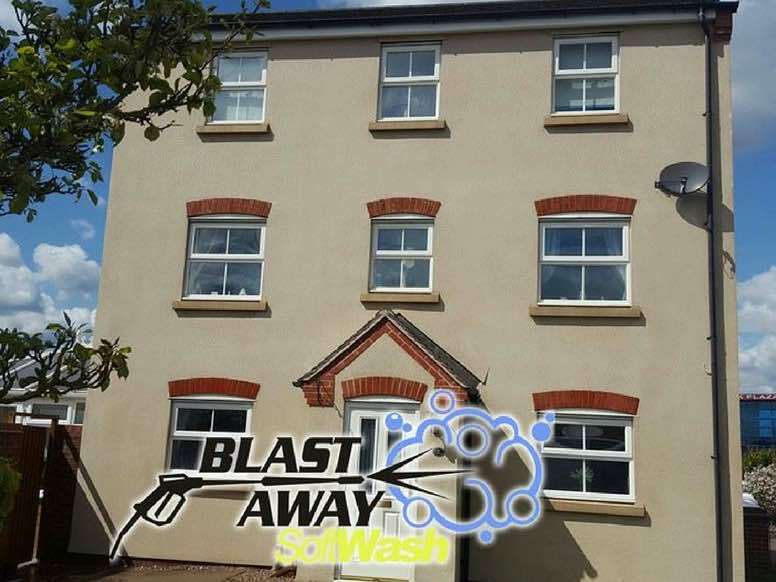 Take a look at some of our recent work and how our soft wash system can clean your render.